Using stamps and stencils in pottery painting. Good Morning all! How are you today? I hope you are well. 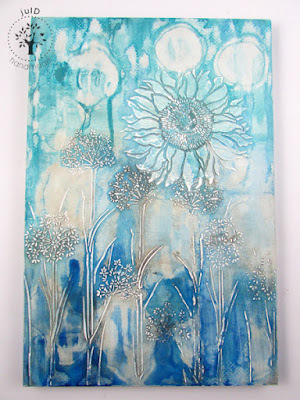 Today I want to bring you another way to use your rubber stamps and that is in pottery painting. 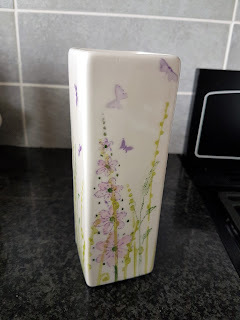 Those of you that follow my blog will be aware that this has become a love of mine - but I have before this post - been stamping in distress inks onto pots and then painting over them. 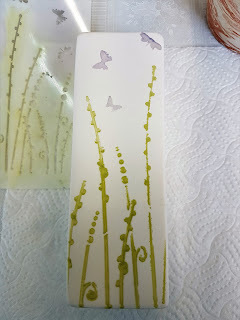 For this post I have tried actually stamping in glaze and also using glaze through stencils to make a vase look pretty! 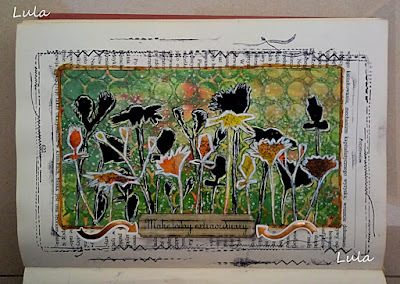 I have used Kay Carley stamps and stencils from paperartsy throughout this process. I started with a square vase, my stencil, some dobbers and some glaze. I applied the glaze through the stencil to each surface of the pot. This is one stencilled side. I used a different coloured glaze for the butterflies. 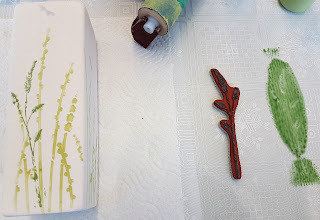 Next I brayered out some glaze onto a piece of acetate and then used a stamp to apply this to the pot. 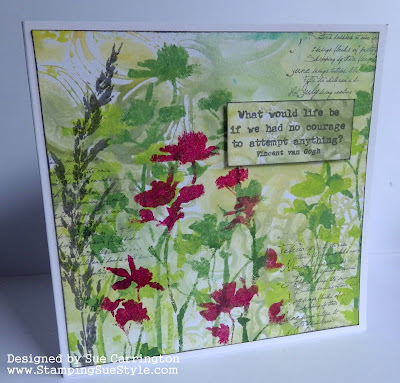 I did some more stamping using some flower stamps and painted these in to complete the design. and here's another side too! 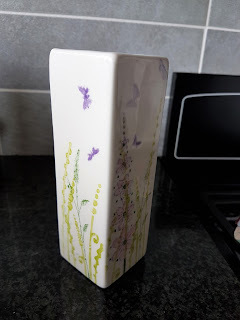 I hope you might think about using your stamps and stencils on pottery too - the stronger colours work best for the stamping and the stencilling works really well as you can easily add more than one coat! 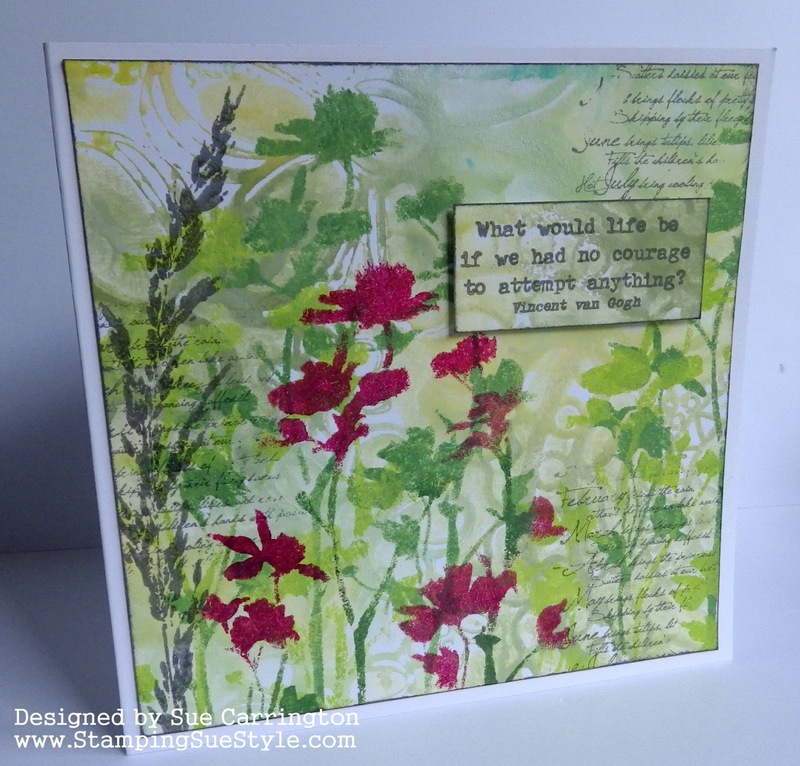 Welcome to today's Guest Designer, Ioulia ! 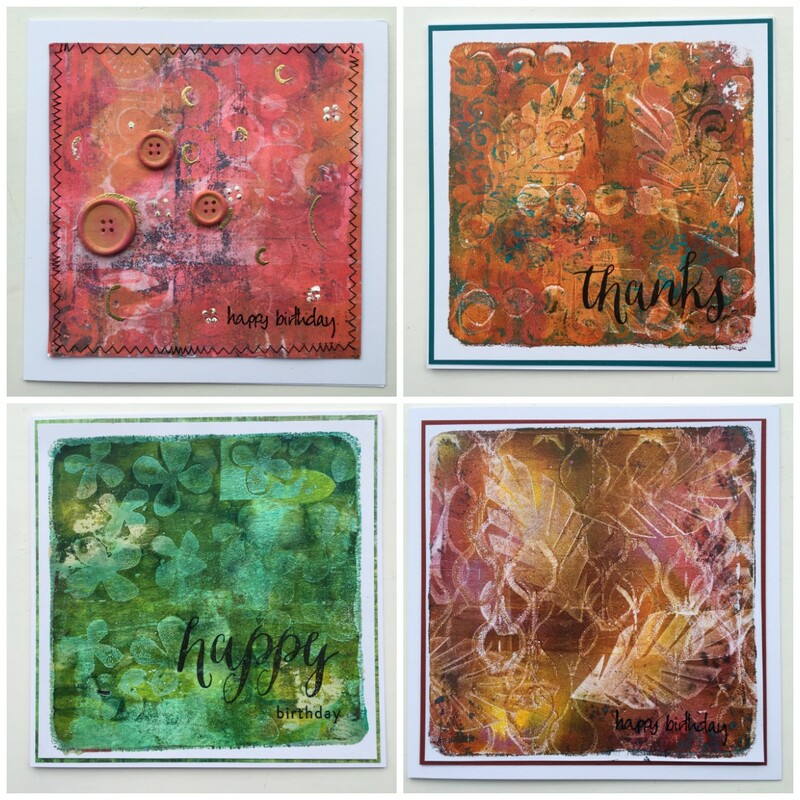 Hi Stamps and Stencils lovers! I am Ioulia Deligiannidou (julD) from Greece. I live in Thessaloniki, it is a seaside city. 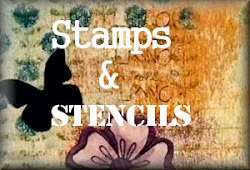 I am so happy to be a Guest Designer at Stamps and Stencils. It is such an honour to be here today. Thank you so much. I loved painting and crafting from my early years, but instead of becoming an artist I became an engineer who loves to create things in her free time. So, crafting is my hobby. I love to create with whatever I can get my hands on. 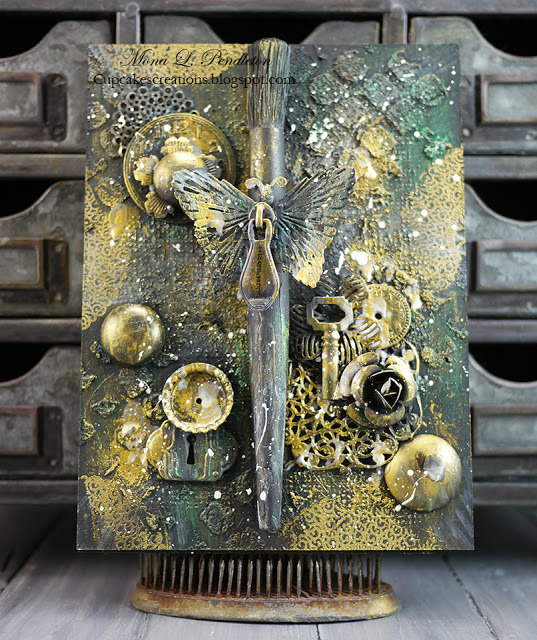 Mixed media fascinated me because I can combine many techniques and materials. My favourites are clay and texture in paintings. 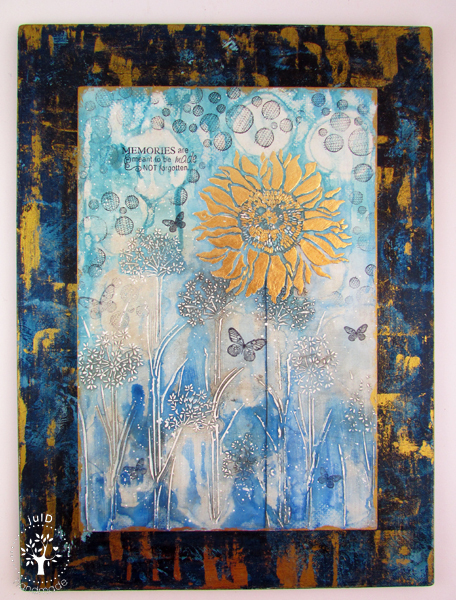 My project is a mixed media painting on mdf. 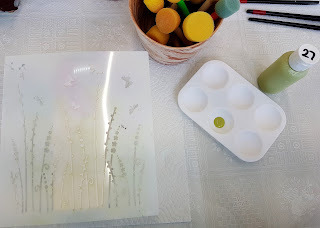 At first, I applied modelling paste with stencils on an mdf board..
Then, I used a coat of white gesso and when it was dry, I added two colours of acrylic paint. While the paints were still wet, I dropped drops of alcohol. 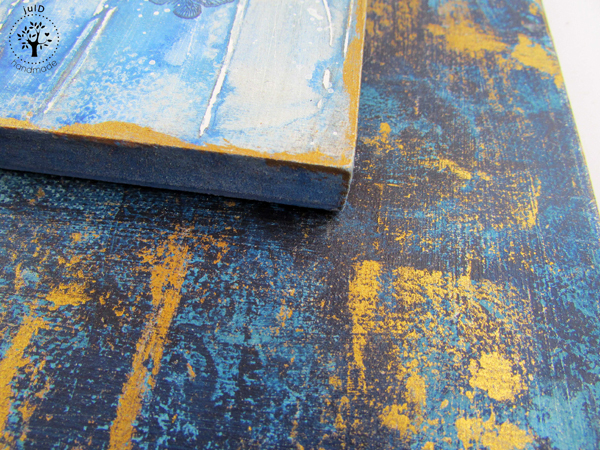 The paint reacts and creates a circular effect. 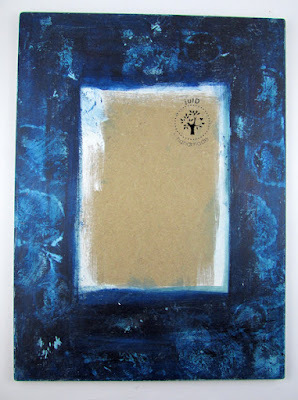 I used oil paint and wiped it back with a cloth. I rub with sandpaper the flowers. 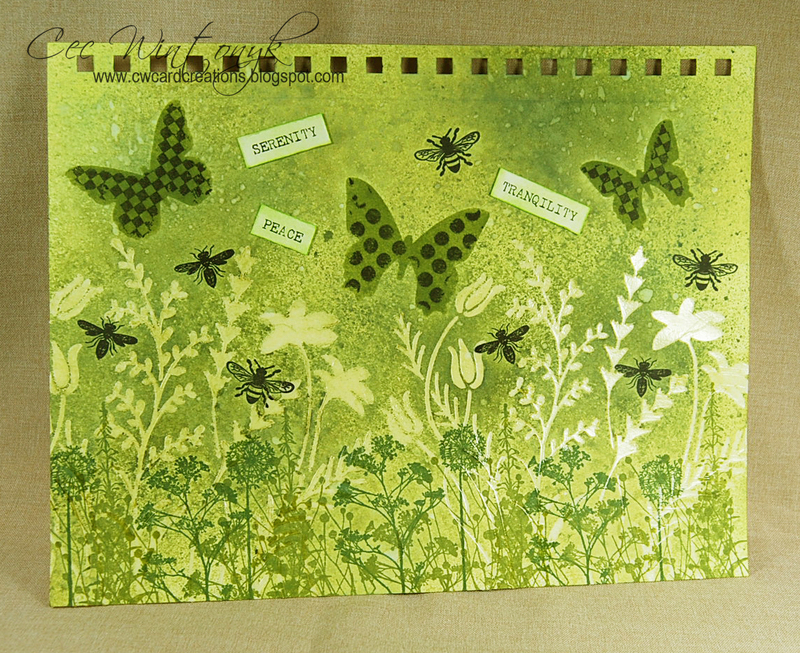 I stamped with circles, words and butterflies stamps. I stuck gold leaf to the petals of the big flower. I applied gesso and acrylic paints with alcochol drops on a second mdf board to use it as a frame. I wiped back the alcohol with kitchen roll. I stuck the two mdf boards together and I applied gold paste at the edges. Wow Ioulia your project is gorgeous ! 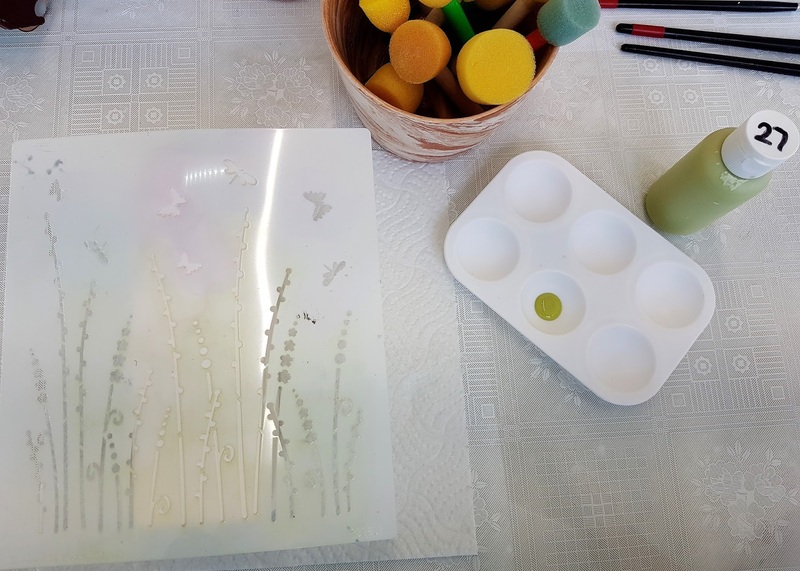 Thank you so much for joining us today and providing such fabulous inspiration for the current challenge, In the Meadow. There's still plenty of time to join us ! Hi, Ruth here with an inspiration post all about making your own foam stamps and using them with a Gelli or Gel Press plate. 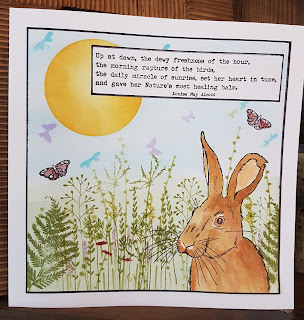 For those of you who might follow my instagram posts you'll be aware that I joined in with a daily challenge in March set by the very talented Birgit Koopsen. 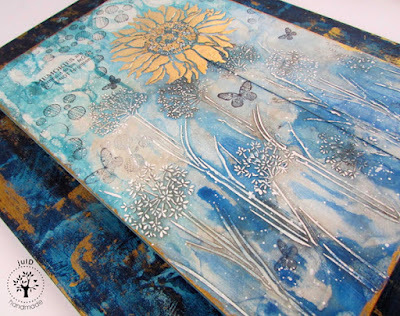 It was all about getting to know your Gelli plate following daily prompts.....I can highly recommend it, so many fab techniques and inspiring posts by other creatives. 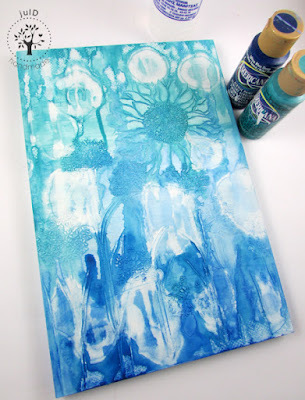 I definitely got hooked on using my Gelli plate and one of my favourite prompts was all about making your own foam stamps. 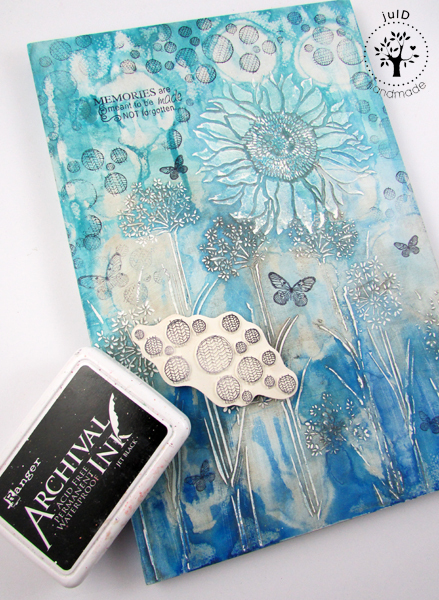 I used funky foam which had an adhesive backing and I got lots out of one sheet which cost about £1. I cut them freehand and found the organic nature of these very effective when using with a gelli plate, the 'rougher' the better. 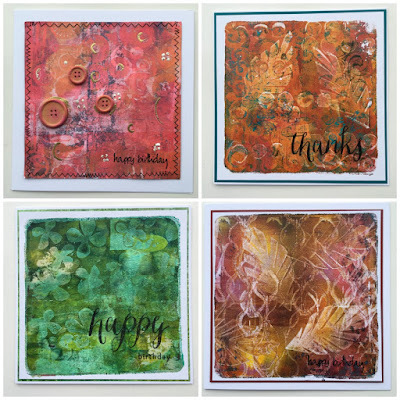 The first few I made I stuck to cardboard but then remembered I had some wooden blocks that I'd salvaged from old fashioned rubber stamps that I didn't use anymore so they got a new lease of life. I also used some heat moldable foam which I've had for years. I was so inspired I made a short video that I shared on instagram...it's less than a minute long (it has to be for instagram) and I thought I'd share it here. 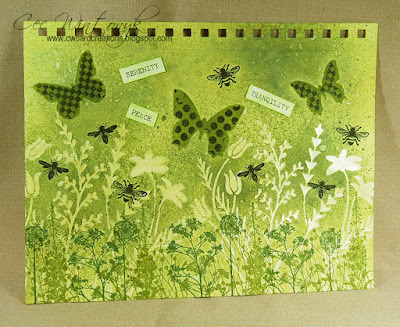 I now have lots and lots of background papers that will form the basis of my cards this year...and I can't stop making even more papers. Here are a selection of them. 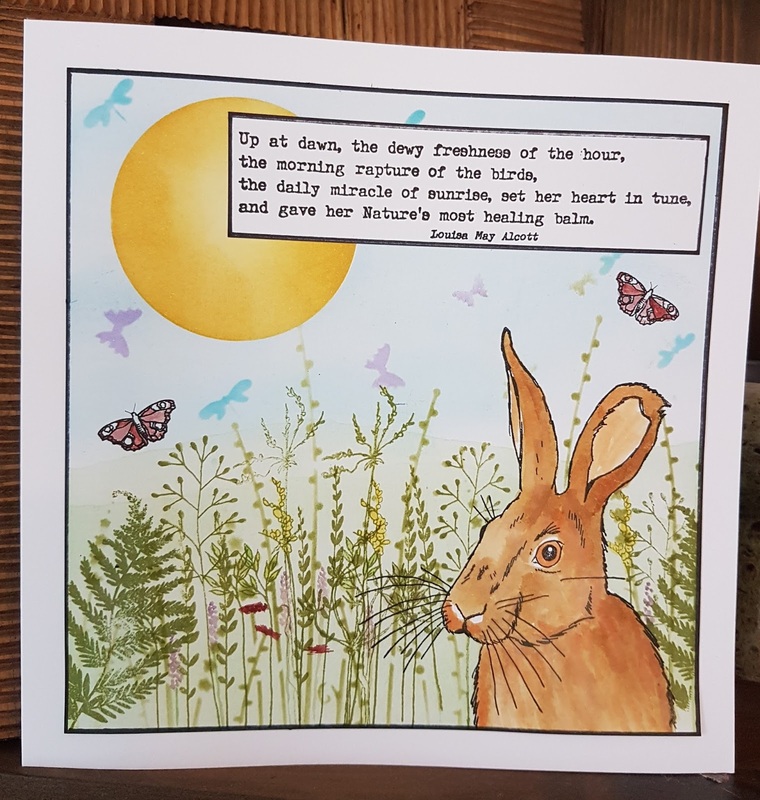 I also used another fab prompt on this one - egg boxes! 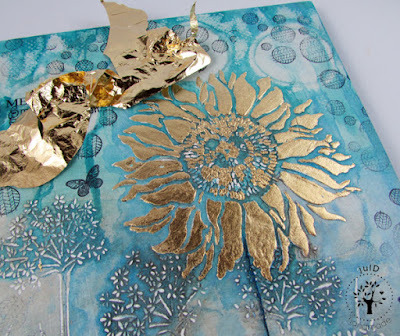 lastly I added some splashes of gold to this pearlescent painted paper. Congratulations to you both ! 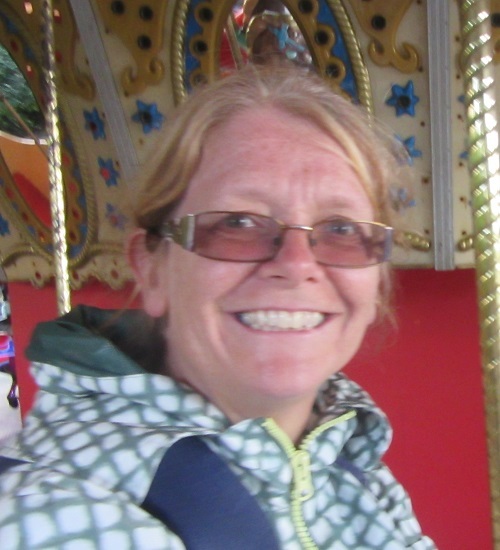 Please contact carringtons22@yahoo.co.uk for the details of your guest post and your winners badge. 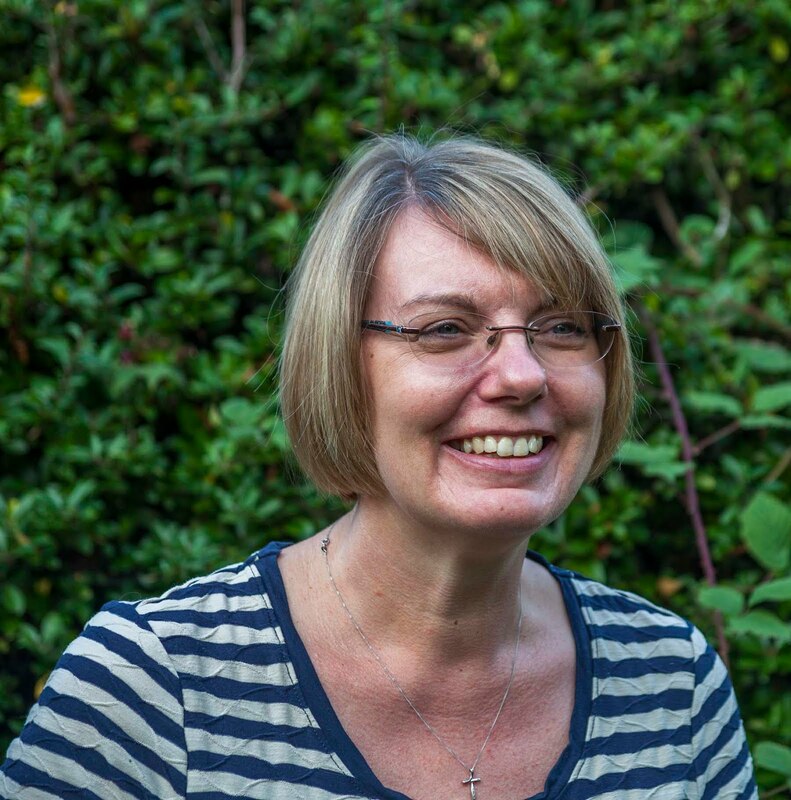 There's plenty of time to join in with the curent challenge In the Meadow. 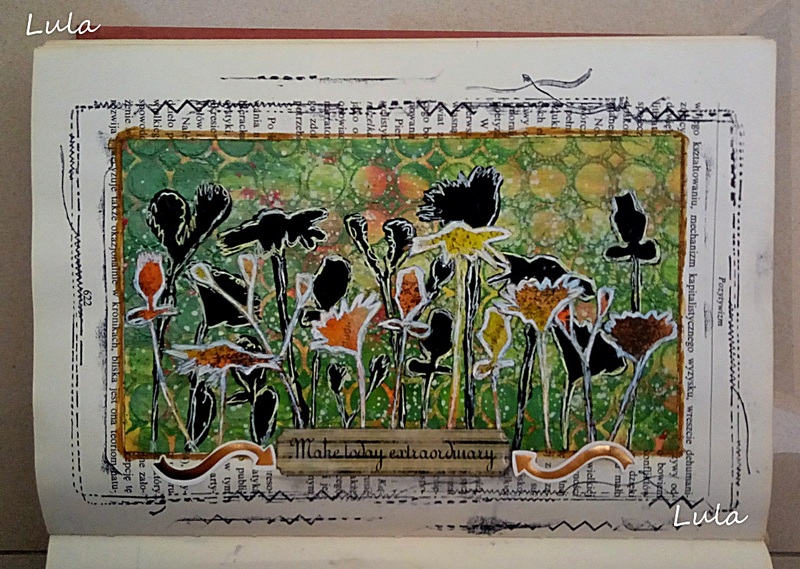 I want to see your interpretation of that theme which could involve lots of grasses, wildlife or whatever you think. 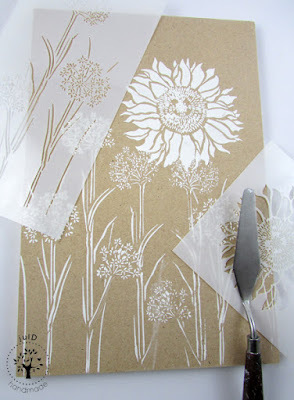 Just make sure you use stamps, stencils or both in your make! Here's what my teamies and I came up with. I just love what everybody has done! Just click on the names to be transported to their blogs! 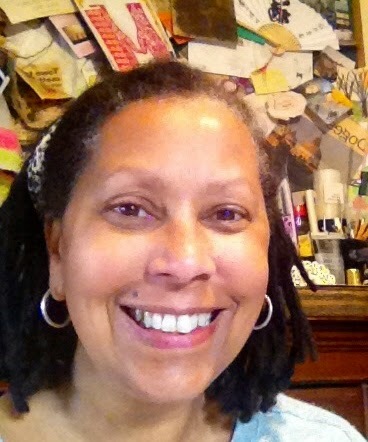 I do hope you'll be able to join us!